Home Blog What is Ayurveda? Ayurveda is a holistic healing system that guides us to live a healthy and balanced life. Ayurveda can be traced back to 5,000 years ago in India yet it is still applicable in supporting today’s lifestyle. Ayurveda focuses on food, lifestyle, massage, yoga and herbal remedies to suit our individual make-up. Ayurveda literally means the Knowledge of life. Ayurveda for me is both the science and art of living wisely. If our health is imbalanced, it may be due to diet, environment or our habits. Ayurveda teaches and assists in changing these habits such as, rebalancing emotions, improving diet, practicing yoga & pranayama [breathing exercises] and making some lifestyle adjustments. Ayurveda suggests that there are three primary qualities or principles that govern every human body. These principles are called doshas, which are derived from the five elements: earth, air, water, fire, and space. The three primary doshas are Vata, Pitta and Kapha. It is the doshas that regulate all actions of the body. When the doshas are balanced, we experience good health, vitality, ease, strength, flexibility and emotional well-being. When the doshas fall out of balance, we experience energy loss, discomfort, pain, mental or emotional instability and, ultimately, disease. has the elements – ether/space and air. It controls very basic body processes such as cell division, the heart beats, breathing, discharge of waste, and the mind – anything that moves [like air] in the body. Vata types are visionaries; they are full of imagination and creativity. Vata can be aggravated by fear, grief, staying up late at night [may lead to insomnia], eating dry foods/fruits, or eating before the previous meal is digested. Vata people are thought to be especially susceptible to erratic digestion, bloating, skin and neurological conditions, rheumatoid arthritis, heart disease, anxiety, and insomnia. They tend to worry a lot, move a lot and talk a lot. Their mind is always racing and they find it hard to stay in one place for long time. Vata’s love to talk and they “light up” the room. They are creative and can be successful artists, teachers, speakers and actors. Vata’s need grounding to keep them from moving all the time.Meditation, yoga practice, and pranayama [breathing exercise] are all wonderful for bringing some grounding and nourishment to Vata. Vata’s need to keep warm and oiled. Having a daily schedule is best to ease their mind. They love the sun and warm, humid weather. Nutritionally, Vatas can add good fats such as ghee, sesame seed oils etc., steamed or lightly cooked vegetables, warm milk, and grains to their diet. 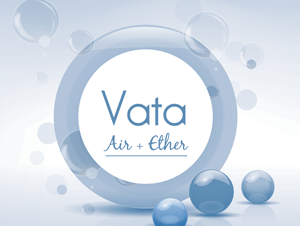 Vata’s are usually challenged by dryness in their colon which results in frequent constipation. They have to drink plenty of water, eat warm foods and add good fats from oil or ghee. They must avoid dry foods. signifies elements – fire and water. Pitta controls hormones and the digestive system. Pitta types are passionate, confident, organized, intelligent and perfectionists. Pitta people turn out to be great leaders. When Pitta is out of balance they may experience negative emotions such as anger and may have physical symptoms such as heartburn. Pitta is aggravated by eating spicy or sour food, over exhaustion, or spending too much time in the sun. People types are susceptible to hypertension, heart disease, infectious diseases, and digestive conditions such as Crohn’s disease. Pitta’s are competitive, energetic, ambitious and intelligent. They love a good challenge and a good debate. They are focused and quick problem solvers. They are sharp and quick witted. They love to control and have things their way. They have a tendency towards being opinionated, controlling and getting angry. In balance they are super organized, punctual, and driven. They are great leaders. Pitta’s need to stay cool both, physically and mentally. Meditation and pranayama’s are really good for Pitta people. Nutritionally they do well with sweet. However excess salt, daity, hot spices, sour fruits, and alcohol puts them out of balance. Pittas do well with sweet fruits, salads, legumes, breads, rice, milk, cucumber and water. Pitta’s are strong metabolizer’s and they do not tend to gain weight. They have the best digestion of all three doshas. Pitta’s get irritable and angry if they don’t eat often. If pitta digestion is too sharp, it can result in an acidic stomach, heartburn, and diarrhea. Sweet foods are the best bet for pitta to cool and sweeten their hot and sharp fire. is a combination of water and earth element. 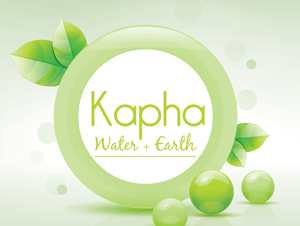 Kapha helps to maintain strength and immunity and to control growth. In balance Kapha types are loyal, loving, kind hearted, and calm. An imbalance of the Kapha dosha may cause nausea immediately after eating. When out of balance Kapha experiences greed, lethargy, sleepiness, lack in energy, cravings for sweet foods, overeating, and eating salty foods. Those with a predominant Kapha dosha are thought to be vulnerable to diabetes, cancer, obesity, and respiratory illnesses such as asthma. Kapha’s are loving, generous, peacemakers and joyful people. They are great listeners and are extremely nurturing. They are very patient, helpful and caring. They are comfortable to follow than to lead. They have a sensitive temperament therefore it is easy to upset or exhaust them. Kapha’s have great memories and they hold on to their past often. They do not like change and when they hold on to anything they cannot let go of it. Essentially Kapha’s are attached to many things – emotions, past experiences, stuff, weight etc. Mostly in balance they are very happy people. Kapha’s do not like to move but it is crucial that they do. I usually recommend Kapha’s to move or create an exercise program that they would enjoy and love. A light diet is best for Kapha’s – that is to say they must emphasize on pungent and bitter taste. Although they must avoid sweet and salty foods. Fasting is great for Kapha’s and it doesn’t bother them because they hold food for a while. Kaphas can try to get up early in the morning and practice “letting go” in order to move forward. They are slow metabolizer’s, therefore they tend to gain weight fast. Kapha’s need to stay warm. Adding pungent spices to their diet will aid towards digestion, metabolism and weight loss. The fundamental way to maintain physical and mental health is by keeping these 5 elements in each doshas in harmonic balance. This can be achieved through balanced diet, medicinal herbs and healthy life style practices. Imbalances in doshas can lead to various diseases, early aging and compromised immune system. We may be dominated by one or more of these doshas or element. By understanding which dosha type you are proper diet and herbal treatment can be established specifically for you. For in depth consultation and coaching with Nahid email her at info@conscioushealth.net and book a free 15 minute one to one exploratory session. Additionally, Conscious Health offers a great introductory e-course that helps you determine your Dosha, interprets the science behind health and nutrition, and teaches you how to eat for your body type. This is a unique and intelligent approach to healthy eating. You will receive course content in your inbox three days a week, including a challenge that will keep you healthy and motivated. Find out more!